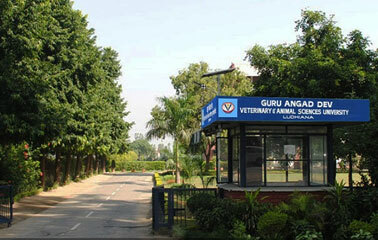 A four days International Workshop Focusing on “Antimicrobial Resistance and Strategies for its Mitigation” was inaugurated by S. Balbir Singh Sidhu, Cabinet Minister, Animal Husbandry, Dairy Development, Fisheries and Labour department at Guru Angad Dev Veterinary and Animal Sciences University, (GADVASU) Ludhiana. In his inaugural address S. Sidhu emphasized the important role played by Animal Husbandry sector and underlined the significance of misuse of antibiotic in the animals that can be a potential threat to the human population also. He exhorted the scientists to suggest possible remedies to curtail the menace of antibiotic resistance (AR). Total 55 researchers including18 researchers representing 15 different countries are participating in this conference. Dr. AS Nanda, Vice-Chancellor of GADVASU stressed upon the economic impact of the disease outbreaks due to Superbugs and their adverse effects on the medical tourism of any country. He further emphasized the problem of AR is of global concern rather than a country specific issue. He lauded the efforts made by GADVASU scientists in the area of AR research. Dr. Arun P. Kulshreshtha, Director General of Centre for Science and Technology of the Non-Aligned and other Developing Countries (NAM S & T Centre), New Delhi, speaking on the occasion impressed upon the fact that the problem of AR has raised dangerously high levels, specifically in the developing nations. He was hopeful that the ongoing workshop will definitely come out with promising and positive resolution for the direction in the study of AR. He revealed that NAM S & T Centre sponsors fellowships for research across the different countries around the globe. Dr. TS Rai Organizing, Sec. of the workshop informed that during this event expert fro m different institutes like PGI Chandigarh, DMC Ludhiana, Bihar Animal Sciences University and GADVASU will deliver lectures on different aspects of AR and its mitigation strategies. Hands on training will also be an important component for sharing the knowledge in the workshop. Dr. JPS Gill, Director of Research of GADVASU delivered keynote address on the AR and current issues being faced nationally as well as internationally. Dr. AK Arora, Coordinator of the workshop was of the view that GADVASU is a lead institute in the area of AR research and significant research is being carried out on the molecular and genetic aspects.